While we were touring Camarines Norte, we were treated by our hosts to Alvinos. A roast grill and fry restaurant in Daet. 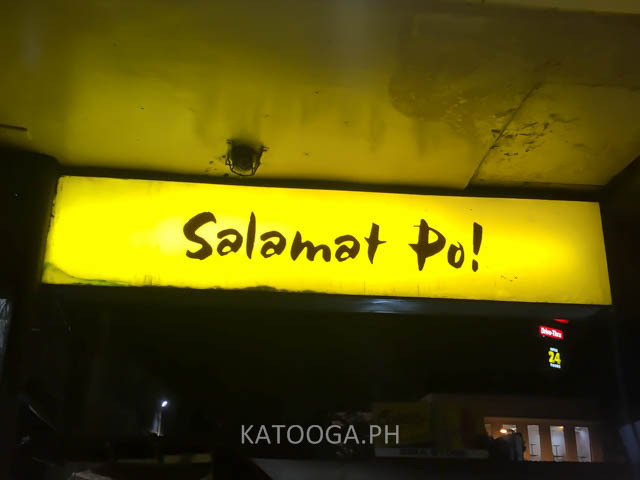 Originally from Lucena, this joint has become famous in this side town. Don't be deceived by its frontage, this place has a huge dining area inside. Although huge, the place was half full when we arrived. It was already past 8pm so we expected less diners but we were wrong. Upon seeing the prices, its no wonder this place is packing them diners. Add in the wonderful taste of their food, you got a winner. This place is a hidden gem to a traveller like me, it was great for our host to bring us here. Tucked within the city, this restaurant surprises me a lot. 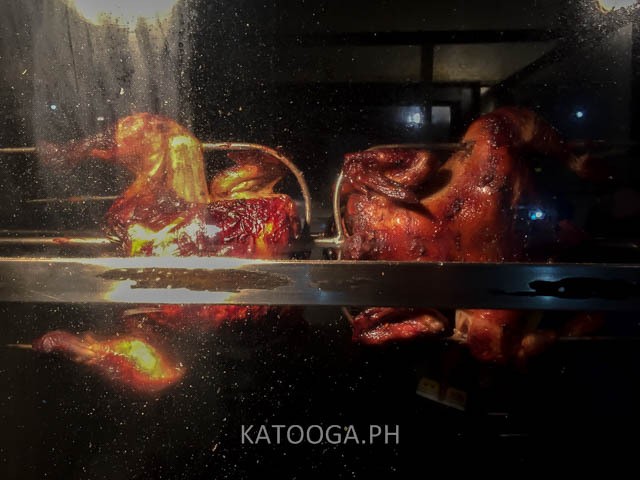 Their menu items are varied from pizzas, to lechon manoks, to value meals, to binalots, soups, desserts, shakes, and the list goes on and on. Since we had a long day, with lots of places that we went to, we opted to go simple. We ordered the binalots and this writer had the sisig. 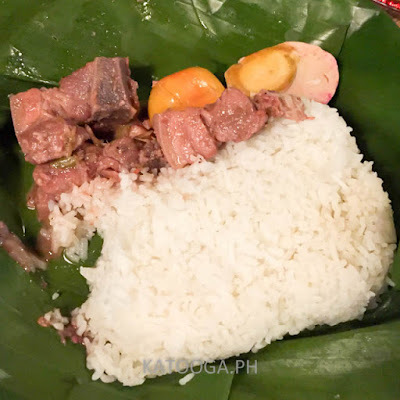 The sisig binalot I ordered was different from the one I imagined. 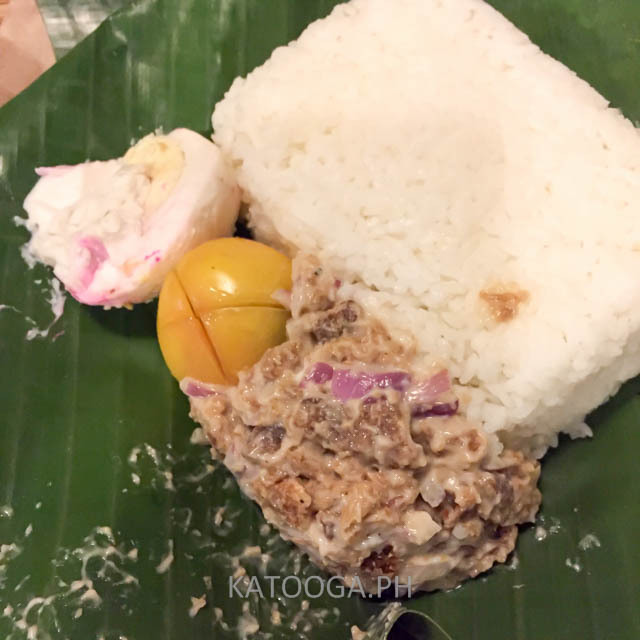 Their sisig is the one with some sauce in them. Something new indeed for me. Tasted great the same. 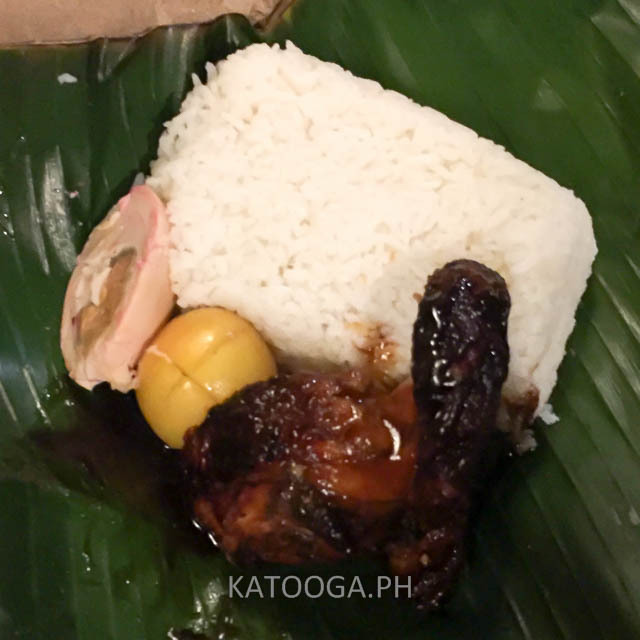 The binalot comes with half a salted egg and a tomato. 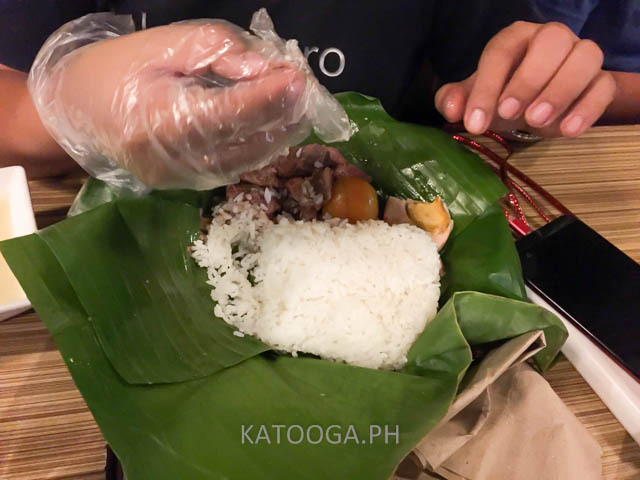 All these things are in a binalot (banana leaf) and best of all you get to eat with your hands. Alvinos provides the plastic gloves. Eating with your hands, with plastic gloves is not for me. 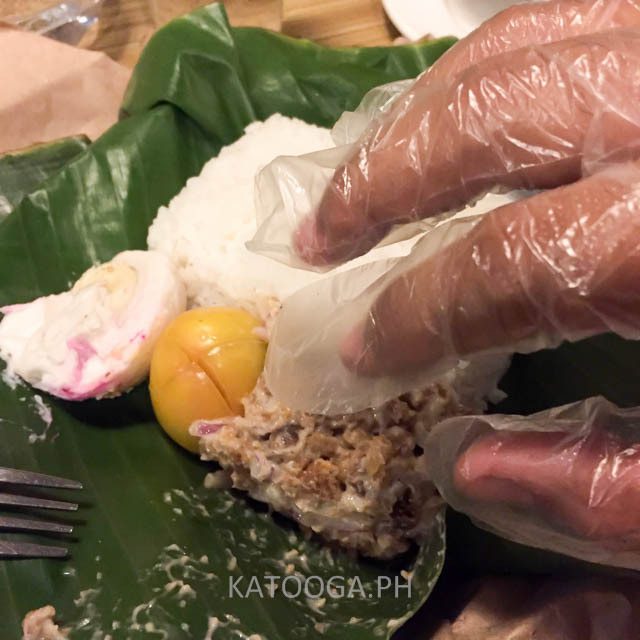 It was my first time to eat with these gloves so it was exciting for me. I had to take the gloves off mid way as I can't feel my food. When the gloves were off, it was like all hell broke loose. Food was gone right away. Should you be around the vicinity of Daet, dropby this place, a true gem of a place. 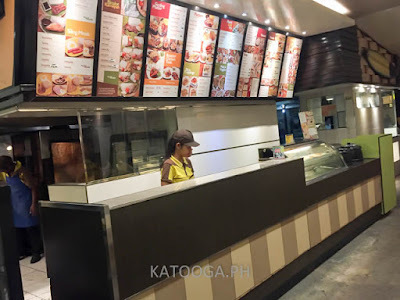 Not your usual fastfood in the city, a different taste. 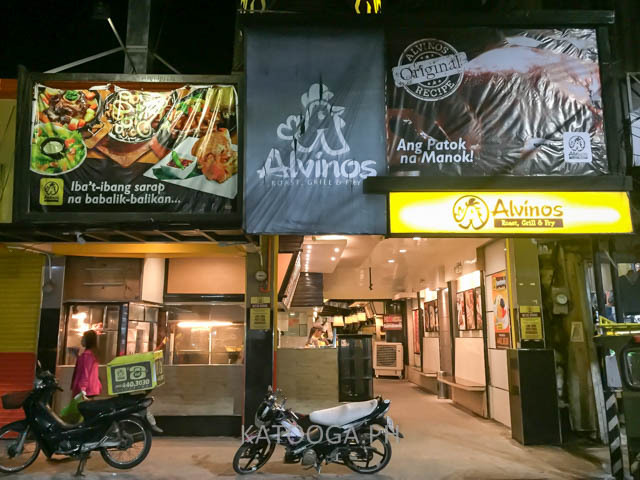 Simply tell the tricycle driver to take you to Alvinos, they know the place well. My friend happily eating his binalot.